Rep. Alexandria Ocasio-Cortez (D-N.Y.) defended her decision to provide her boyfriend with a congressional email account on Friday  by saying he isn’t a staffer. Yet there are still rules that forbid that. The freshman congresswoman has been accused of hiring her boyfriend as a paid congressional staffer — in violation of House ethics rules. She responded by saying he is not being paid — and that the only reason he has the email is to access her calendar. She further asserted that many lawmakers do what she has done in terms of calendar access. But while the move might not violate those ethics rules, it may come in conflict with congressional email system rules. “Only U.S. House of Representatives Members, Officers, Employees, Fellows, Interns and Contractors who have received  permission under the Appropriate Hiring Authority are authorized users of the House’s electronic mail systems and resources,” the Committee on House Administration’s IT policy clearly spells out. Ocasio-Cortez wouldn’t technically be in violation of  those specific ethics rules on hiring even if she did bring her boyfriend into a working relationship. Those specific ethics rules apply to spouses, rather than boyfriends or partners — but this still raises questions over whether she violated the spirit of the rules. The email protocol rules clearly state that only staffers and others working for the office can get their own email accounts. “It is clear that Rep. Ocasio-Cortez either violated House Ethics rules to put her boyfriend on her staff so he could legally have that email account, or violated them by giving an email account he wasn’t ethically permitted to have,” Andrew Follett, a conservative analyst and former congressional committee staffer, told LifeZette. “There’s really no other option. Her own chief [of staff] claims the boyfriend isn’t on her staff and as the rules clearly show, only members of the House, employees, fellows, or interns can have an authorized email account,” he also said. 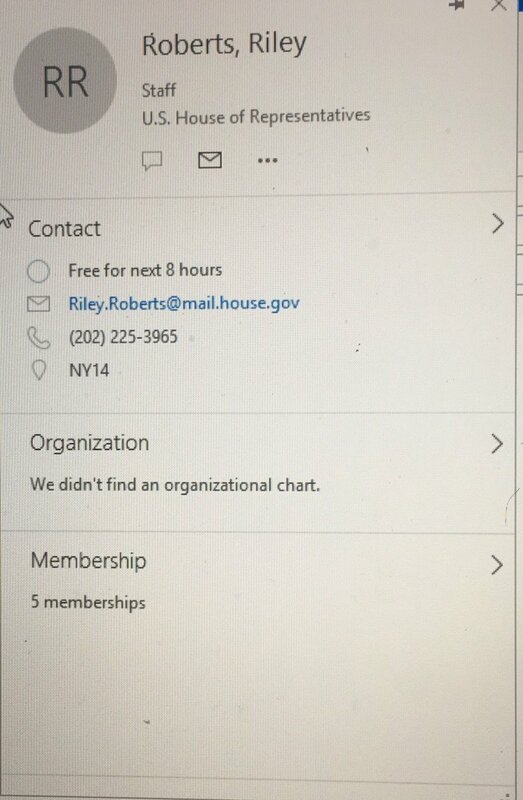 Luke Thompson, who formerly worked as the vice president of the Republican analytics firm Applecart, first raised the controversy on Friday by posting a screenshot  showing that Ocasio-Cortez’s boyfriend, Riley Roberts, was listed as staff and assigned a government email address. His Twitter account was locked soon after  for violating user rules by supposedly posting personal information. The tweet and account reappeared in the  time since. Ocasio-Cortez quickly released a tweet when the screenshot was released, saying  her boyfriend merely obtained an official congressional email address in order to get access to her Google Calendar. She then lectured Thompson about checking his facts next time. Saikat Chakrabarti, her chief of staff, reiterated the point that the practice was common  in a tweet soon after. He's not on staff/not paid. Spouses and partners normally get https://t.co/oqBCENJjNX  e-mail addresses for the purpose of getting calendar access. Ocasio-Cortez might have been better off if she did indeed hire her boyfriend instead of just giving him an email account. Jordan Haverly, the director of communications for Rep. John Shimkus (R-Ill.), first pointed to the internal computer rules in a tweet soon after the controversy broke. He said he was “just going to leave this here” — before posting a screenshot of the rules in question. LifeZette reached out to Ocasio-Cortez’s office in Washington, D.C., but did not receive a response. Copyright © 2017 LifeZette. All rights reserved.